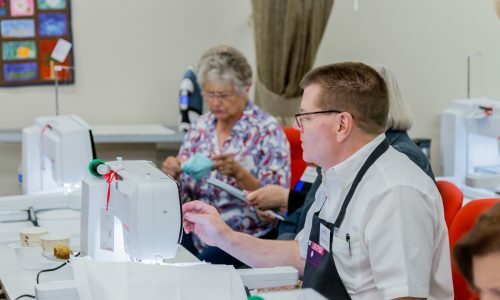 The Quilting Bee – Expert Repairs. A Class For Everyone. Free First-Year Service. Sewing Tables. Sewing Machines. 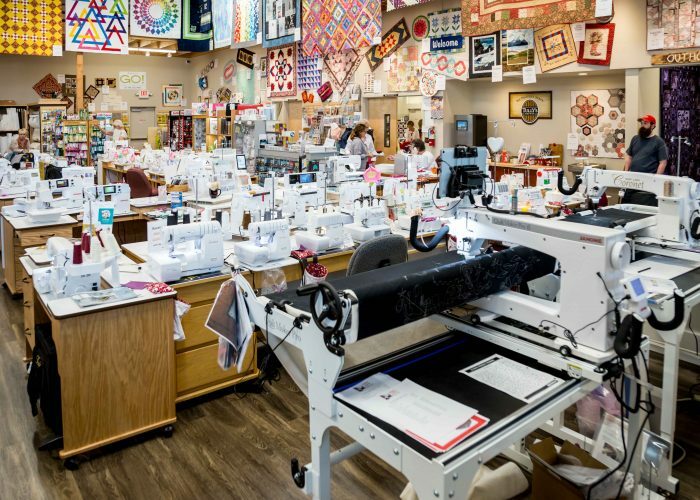 "A Quilt is like a Hug"
The Quilting Bee is an independently-owned quilt shop located in Spokane Valley, WA, where it has been for over 40 years. We like to say we are locally owned and inspired! Owners Scot and Treasure Auble carry on the legacy of an exemplary customer experience, extensive selection and quality, and outstanding machine sales and service options. Baby lock is known for their high-quality, innovative sergers…why not check them out during a month they’ve dedicated to the serger! Various sergers in the baby lock line have special packages available this month, come test sew one today! Come check out the beautiful Bernina Anniversary Edition Machines. These beauties come with a $3,600 gift with purchase, which includes: Anniversary Quilt Kit by Amanda Murphy; Set of Three Quilting Rulers; Embroidery Designs; Anniversary Suitcase System; Accessory Bag; Bernina Golden Scissor Set; #1 Gold Presser Foot; #72 Gold Presser Foot. Wow! Get yours now. Limited quantities available. 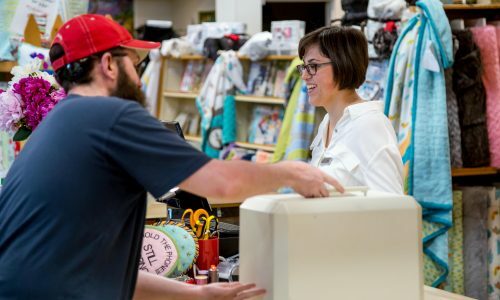 We strive to create a superior shopping experience for you by staffing our store with warm, knowledgeable sales people that will help guide you in your creative endeavors. Whether you need help picking a project, picking a pattern, or picking a machine, we are ready to assist you. 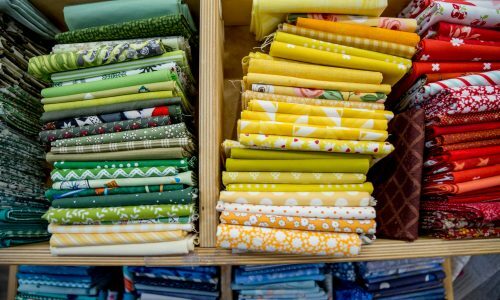 Whether you need advice on finishing your quilt, picking a class to attend , or just a friendly face to ring up those needles and thread, we are here. Our Tech Department is the place to have your machine serviced and repaired. We service all brands and strive to send your machine home sewing like new. The Tech team also sharpens scissors- bring them in any time! David, Semra and Greg are here to make all your machine and tool woes a distance memory. You never walk into the same Bee twice. Our selection is constantly changing and we work tirelessly to create an atmosphere of inspiration through our fabrics and finished samples. We typically have well over 100 different kits available to choose from and over 6500 bolts of high quality fabric. We also have machines for every need. We carry the top three brands; Bernina, Janome and baby lock. With their stellar top-of-the-line features you can do amazing things whether sewing, embroidering or quilting. 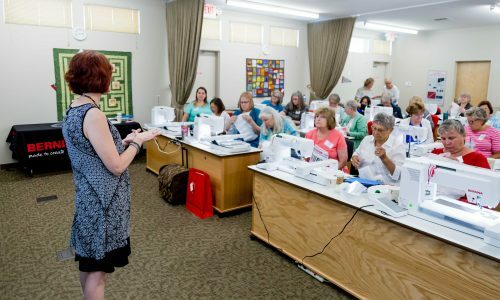 The Quilting Bee offers a wide variety of sewing and crafting classes for all skill levels, with near 100 classes per month. Our instructors have years of experience and unbridled enthusiasm. Click Here for more information about our popular classes. Want to sign up for a class? Call us now!